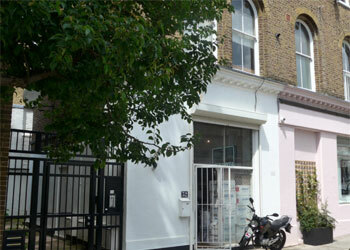 The property is situated on the northern side of Faraday Road, at the junction with Portobello Road, to the north of Golborne Road. It thus forms part of a thriving and active business and retail community where large number of fashion and creative businesses are represented including recent arrival Sisley Paris. There are excellent local restaurant amenities including Pizza East, Golborne Deli, West 36, Bluebelles Café, Lowry & Baker. Ladbroke Grove Underground (Circle, Hammersmith & City Lines) is within easy reach. View property map. A new internal repairing lease for a term of 18 months, outside the Landlord & Tenant Act 1954. EPC and recommendations available on request Energy Performance Asset Rating 283 (Band G). The local authority has verbally informed us that the rateable value for the premises is £10,500 and the rates payable for the current year ending 31/03/17 are £5,082. Interested parties should make their own enquiries and confirm: - Royal Borough of Kensington and Chelsea business rates department 020 8315 2082.